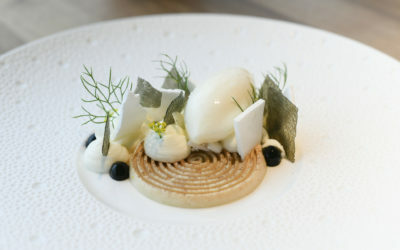 Delectable dining in a wonderfully relaxed atmosphere. 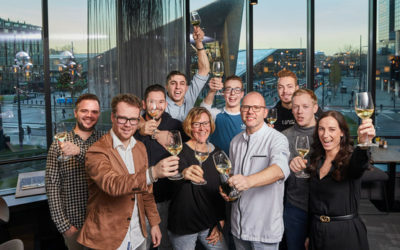 Our hospitable staff are standing by to surprise and delight you with Wim Severein’s distinctive culinary creations and wines that have been carefully selected from Wendy Elsink’s cellar. 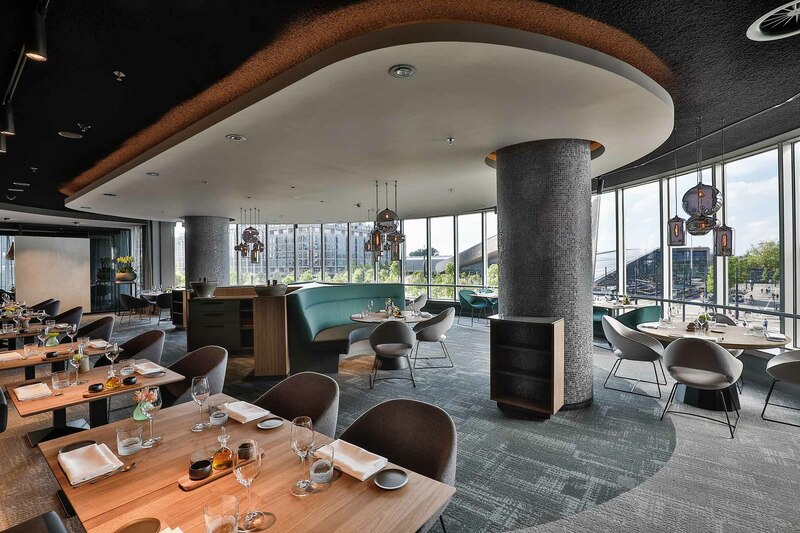 Chef and owner Wim Severein’s brand new restaurant, The Millèn, is located in the heart of Rotterdam city in the iconic Millennium Tower on the first floor of the Rotterdam Marriott Hotel. Whether dining privately or for business, fine food enthusiasts come to The Millèn to escape the hectic pace of the bustling city and relax over lunch or dinner. 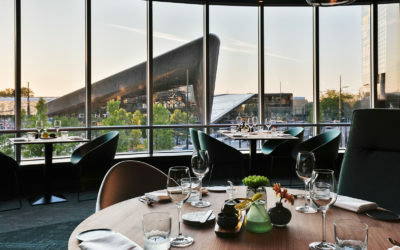 You can combine your fine-dining experience at The Millèn with an overnight stay at the Rotterdam Marriott Hotel, or if already staying at the hotel, you might like to dine at the restaurant for your midday or evening meal. Whether it’s for a short lunch or a full-course dinner, our ‘Private Dining’ space is ideal for anyone wanting to enjoy a meal in privacy with a group of friends or business associates. Our Private dining space is seating up to 16 people. You will be served a delicious ‘Chef’s menu’, which will accommodate personal requests and any food allergies and/or dietary requirements.  If you would like to reserve this space, please contact us by telephone or send an e-mail to reserveringen@restaurantthemillen.nl. 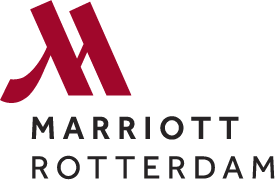 There is no city quite like Rotterdam and no hotel quite like the Rotterdam Marriott Hotel. The central location, opposite Rotterdam Central Station, makes the Rotterdam Marriott Hotel your ideal starting point for experiencing this vibrant city. Feel the energy all around you, both within the hotel and as soon as you step outside. Rotterdam’s main shopping area is less than a 5-minute walk away. All 228 spacious hotel rooms feature amenities such as a 42” flat-panel TV with a dedicated TED channel with TED Talks according to selected themes that are topical and relevant to guests, including curiosity, innovation, travel and entrepreneurship. 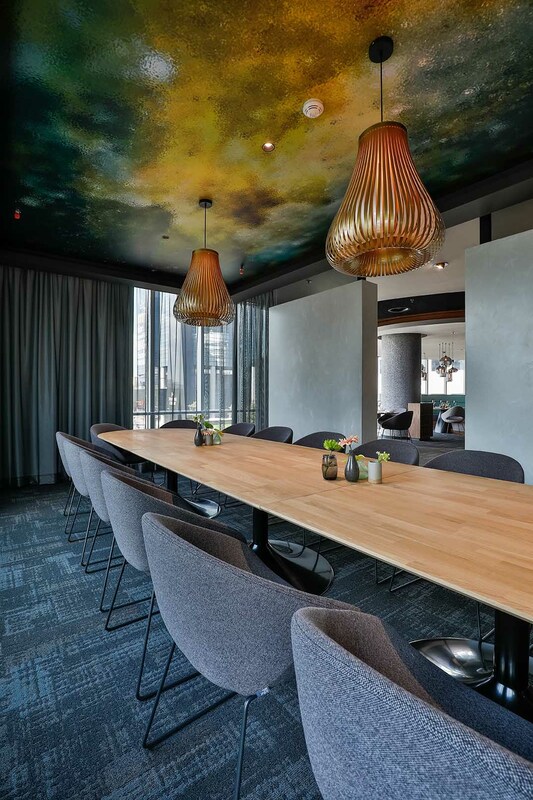 At the Rotterdam Marriott Hotel, everything we do is guided by the principle that travel can transform how you think and that it sparks innovative ideas. In addition, the room also features free Wi-Fi, USB & HDMI portals, air-conditioning, coffee and tea facilities and pillows in the windows to enjoy the view over the city. All rooms feature a marble bathroom with a separate shower and luxurious toiletries. For all devoted athletes we also have a 24-hour accessible gym. 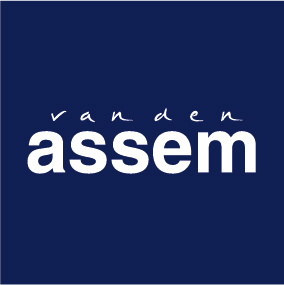 Our team’s shoes are provided by Van den Assem. 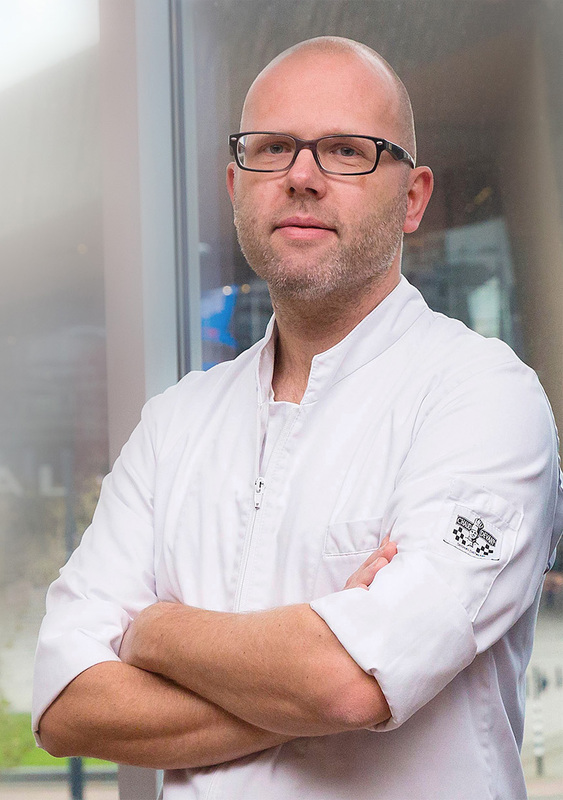 The family business Van den Assem has a long history in Rotterdam. In 1910, the first Van den Assem store was opened by Lambertus van den Assem at the Kruiskade in Rotterdam. Now, after more than 100 years and three generations, the company has no fewer than 180 employees and twenty stores. In addition to the physical stores, Van den Assem also has two webshops, assem.nl and shoeclub.nl. Van den Assem, a high-end shoe shop driven by passion, has a very extensive collection of women’s, men’s and children’s shoes, bags and accessories. They sell brands like Santoni, Magnanni, UGG, Marc Cain, Tod’s, Hogan and Van Bommel. Porto di Lusso is the luxury boutique in Rotterdam. Founded in 2011 we carry only the most exclusive Italian brands. Porto di Lusso is well known in and around the city. The high level of service, quality and innovation are the most important pillars of our shop. Internationally well-known brands such as Kiton, Ermenegildo Zegna and Rocco P. are part of the beautiful collection. We would like to welcome you to visit our shop in the most historical part of Rotterdam at the Van Vollenhovenstraat 21a.